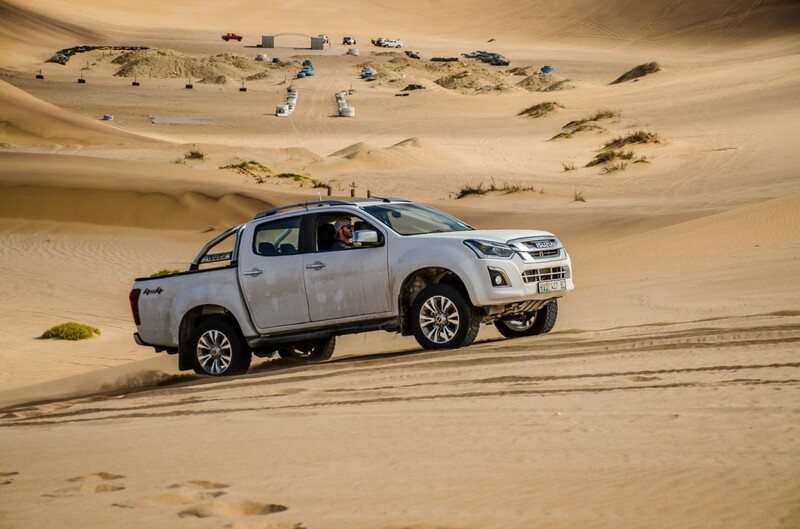 Isuzu has introduced the facelifted KB to the South African market and we spent 6 days in the harsh Namib Desert to put the KB through its paces. 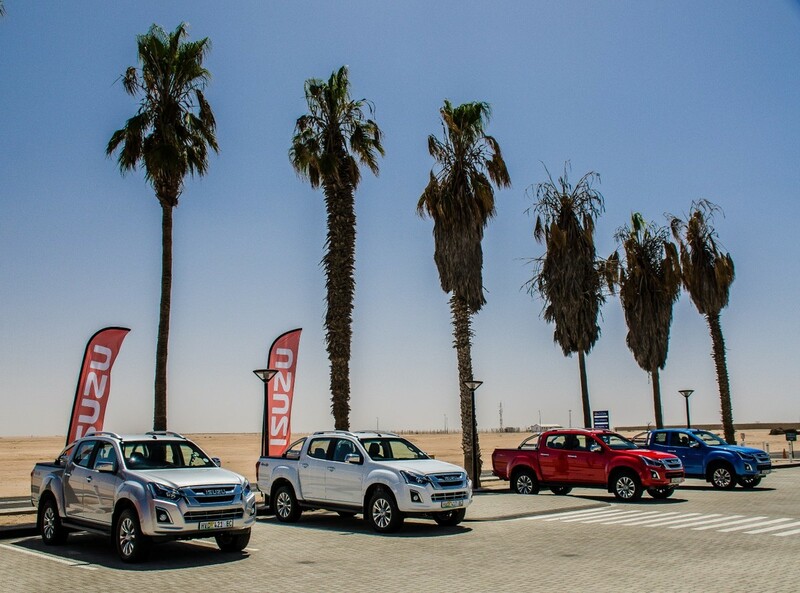 The launch of the facelifted Isuzu KB took place in Walvis Bay, Namibia last week. 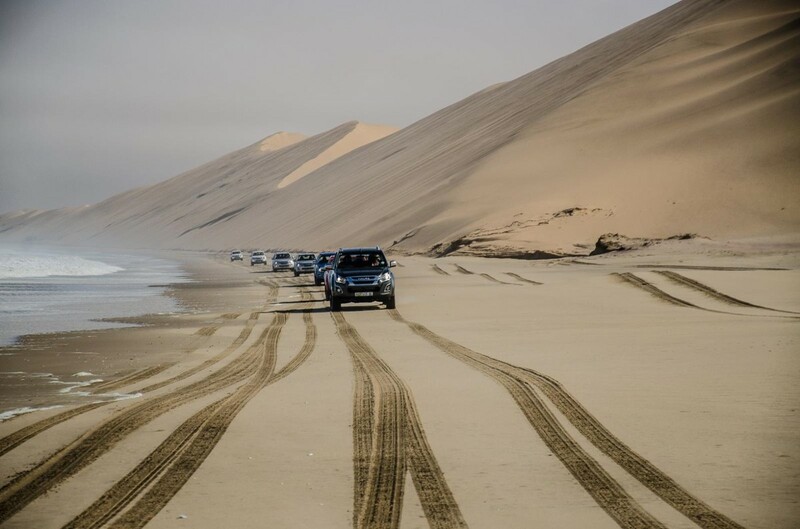 The area around Walvis Bay and Swakopmund are known worldwide for their vast sand dunes and some of the largest sand dunes on earth are found here. The terrain is unforgiving, providing the ultimate proving ground for 4x4 enthusiasts. 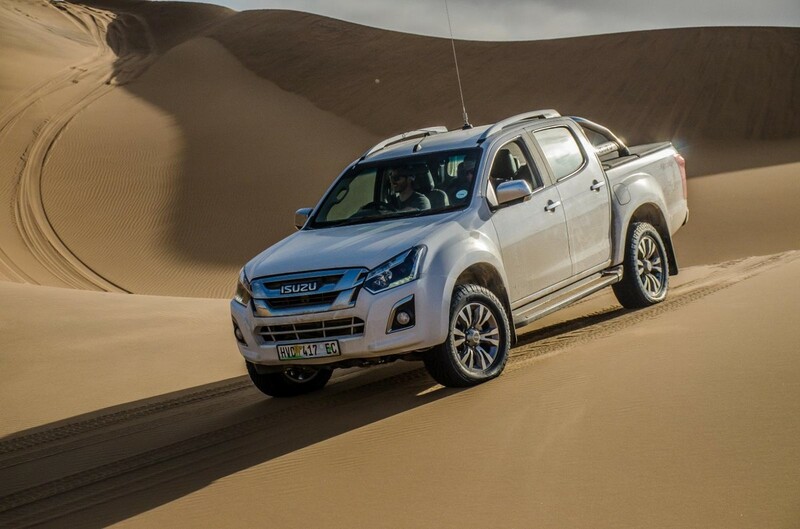 How well did the Isuzu KB fare in these challenging conditions? Read on to find out. 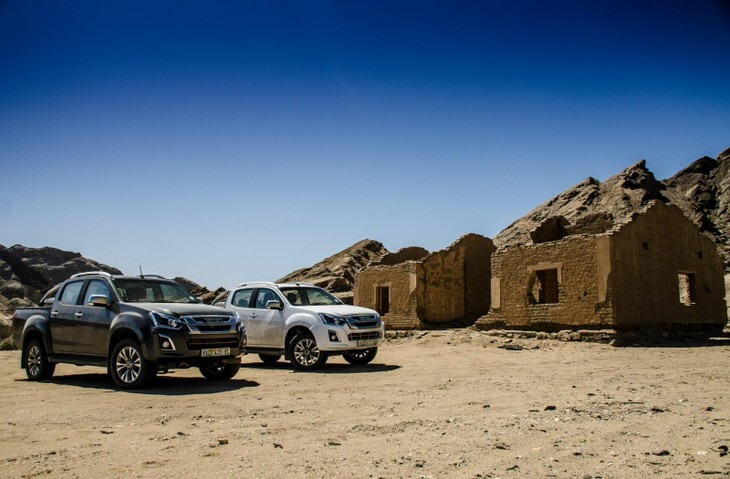 The facelifted KB poses near an abandoned ruin somewhere in Namibia. 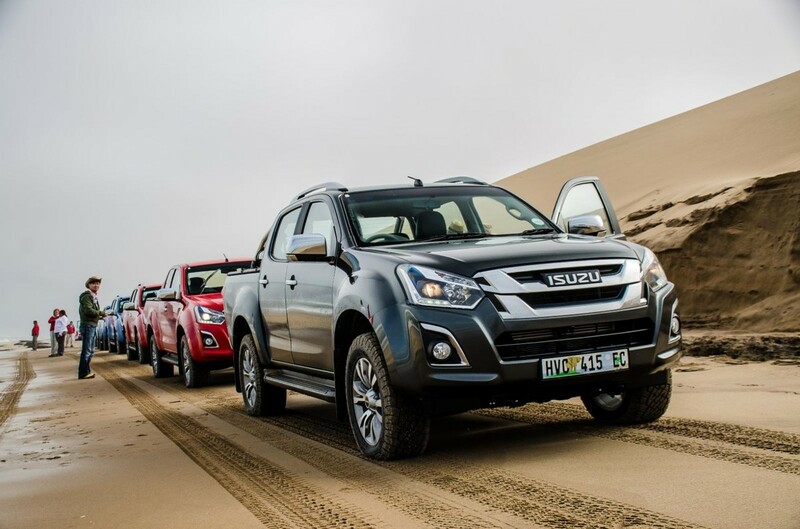 Much of the changes to the 2016 Isuzu KB are cosmetic and looking at the KB you will notice a newly designed grille, bonnet and fog lamps. 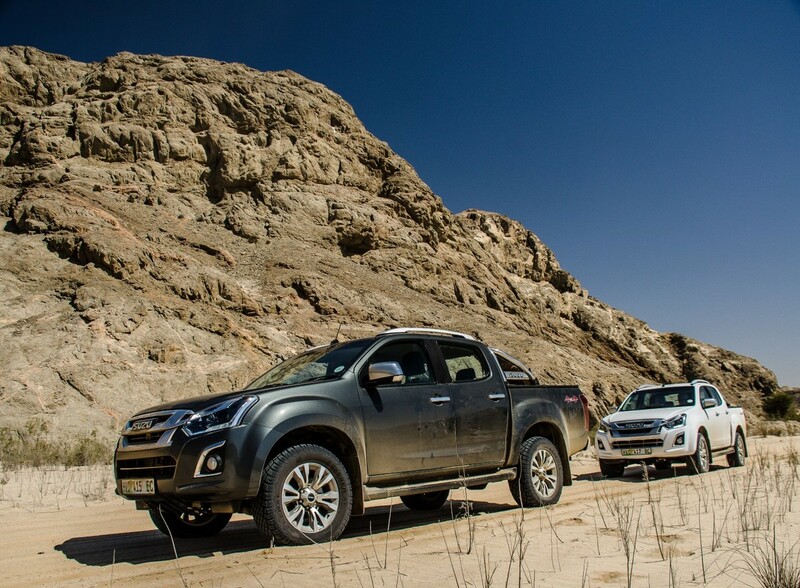 The KB also features projector headlights with integrated LED Daytime Running lights and at the rear you will find a newly designed tailgate (extended cab and double cab only) with the rear parking camera now positioned next to the tailgate handle. 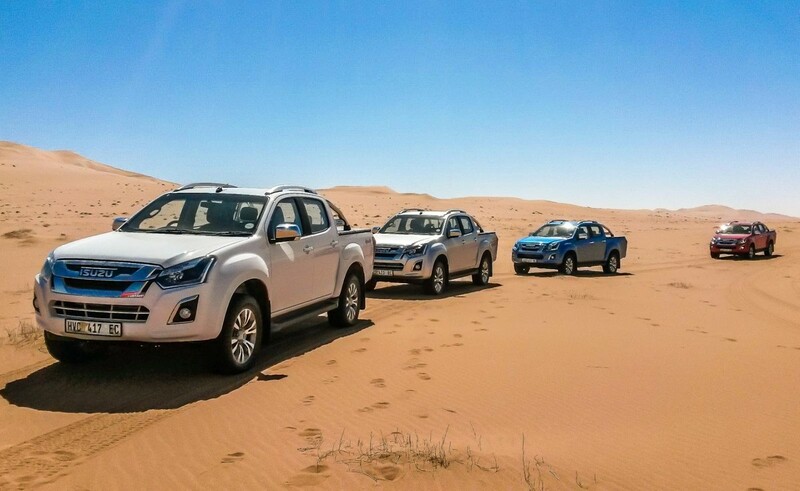 The rear parking camera is fitted as standard on all LX double cab derivatives and newly designed 18-inch alloy wheels are also fitted as standard. 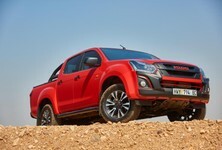 The facelifted Isuzu KB offers enhanced styling and revised suspension for improved ride quality. 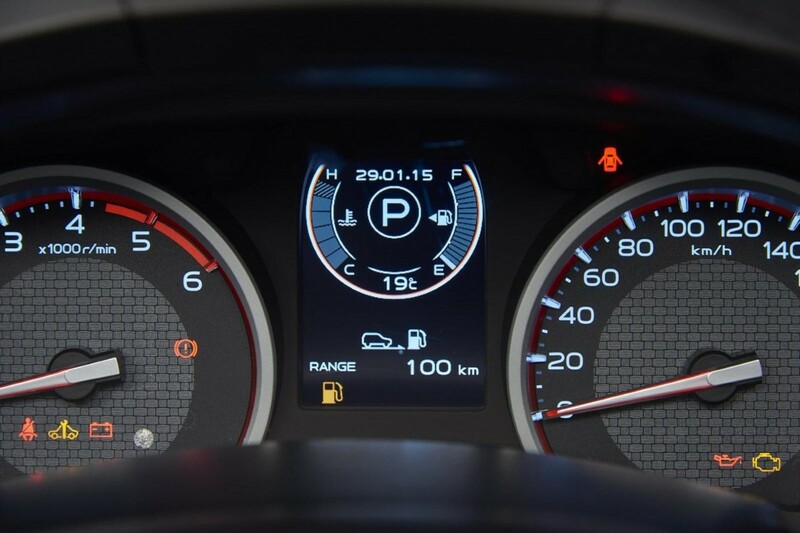 On the inside, changes are limited to a new instrument cluster that now features improved functionality and incorporates a gear shift indicator for manual derivatives. 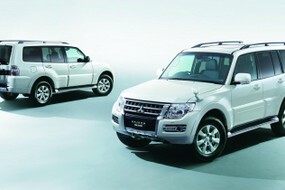 Additional live surround sound speakers are also fitted to enhance the sound quality delivered by the sound system. Isuzu has also revised the suspension of the KB to deliver a smoother ride and Hi-Rider 4X2 models feature new front and rear dampers while 4X4 models benefit from revised rear dampers. 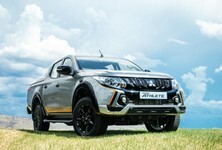 The engine and transmission offering remains unchanged and buyers have the choice between a 100 kW/320 Nm 2.5-litre or 130 kW/380Nm 3.0-litre turbodiesel engine .The top-of-the-range 3.0-litre turbodiesel engine is claimed to consume 7.9 L/100 km for 4x4 double cab and extended cab models, while 7.7 L/100 km is claimed for the KB 4x2 versions. There are also two workhorse models on offer (250 Base Single Cab and 250 Fleetside single cab) and they are powered by a four-cylinder 2.5-litre diesel engine developing 58 kW and 170 Nm of torque with a claimed fuel consumption figure of 7.9 l/100 km. 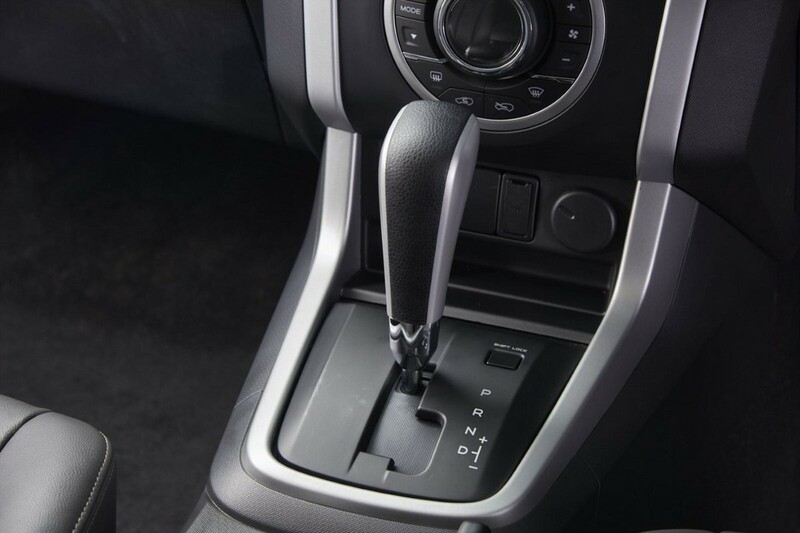 In terms of transmissions, a 5-speed automatic is available on KB300 LX double cab and extended cab derivatives only, while a 5-speed manual transmission is available across the KB range. 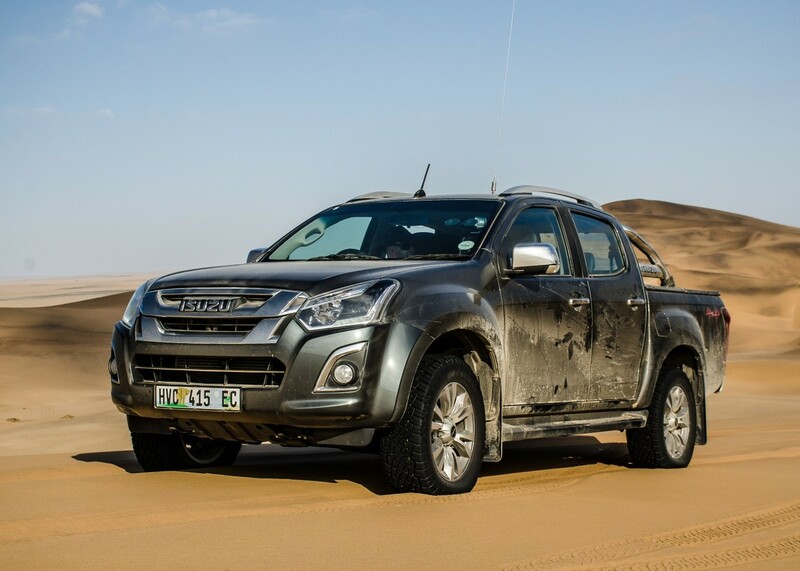 The Isuzu KB proved to be more than capable in tough conditions in the Namib Desert. 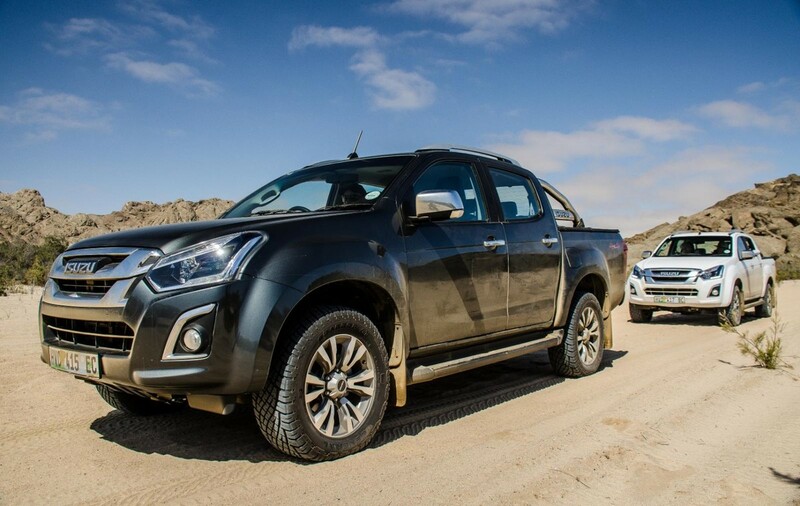 Upon arrival at Walvis Bay airport, the media contingent were briefed and introduced to the facelifted KB. 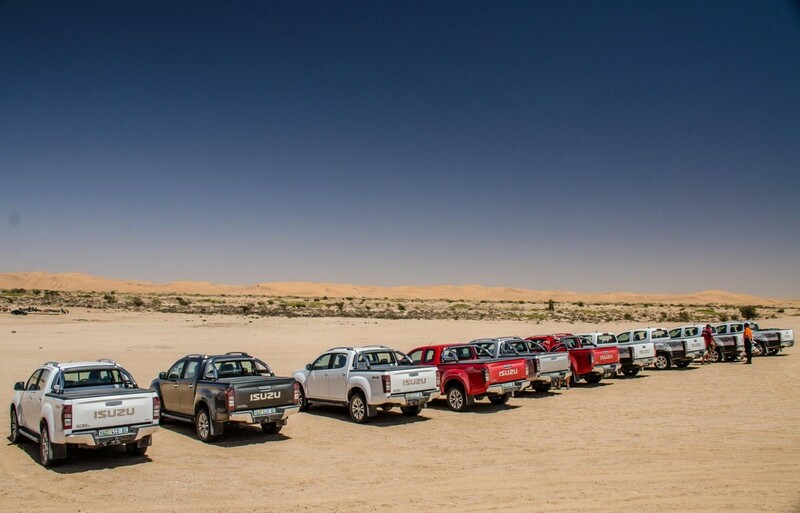 The KB launch fleet included 4x4 LX double cabs and 4x4 LX extended cabs in both manual and automatic guises. 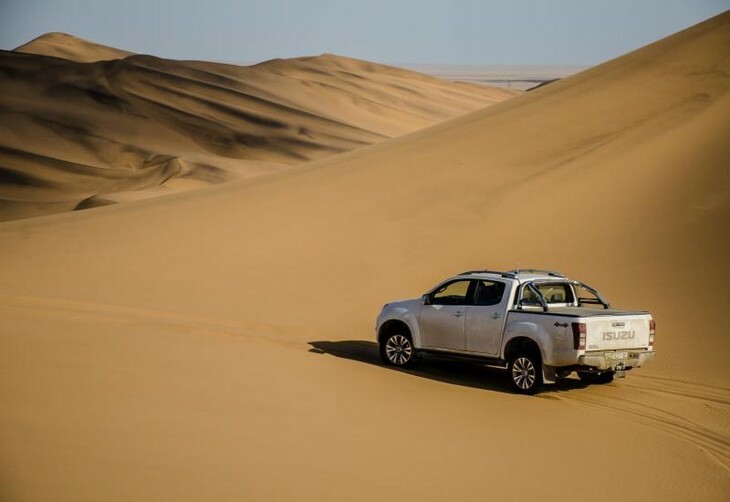 We started our journey in the KB 4x4 LX extended cab and the launch route took us south of Walvis Bay to an area known as Rooibank, where we ventured into the sand dune belt found there. 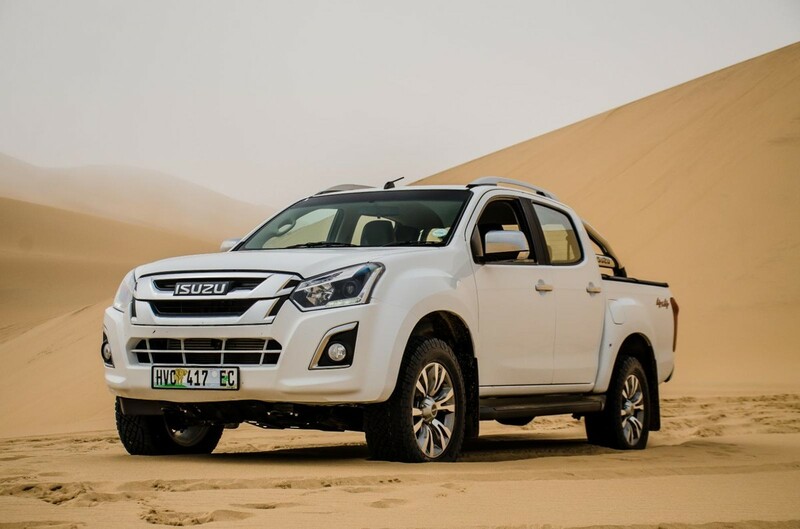 The Isuzu KB 4x4 derivatives are equipped with a rotary dial on the centre console that allows the driver to easily switch between 2H, 4H and 4L, depending on the driving situation. 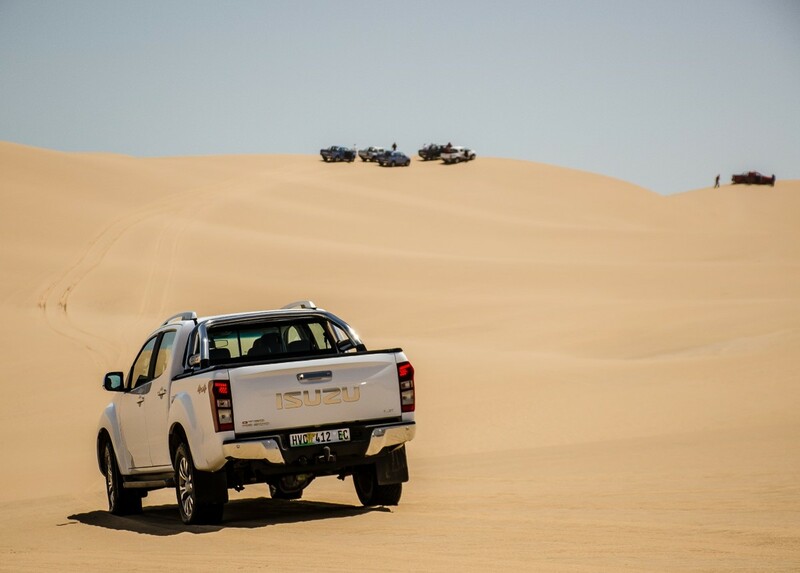 In the sand dunes and in most cases, 4H was adequate and 4L was only required in extreme situations. 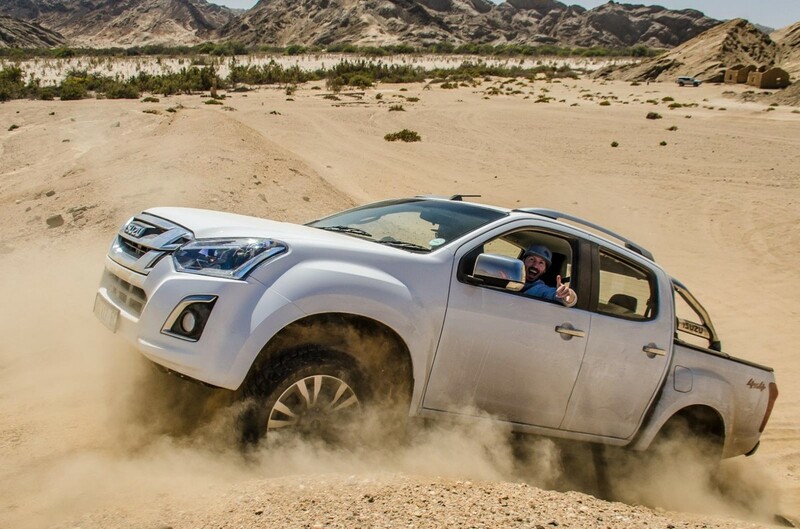 A rear differential lock can also be engaged when it’s required. 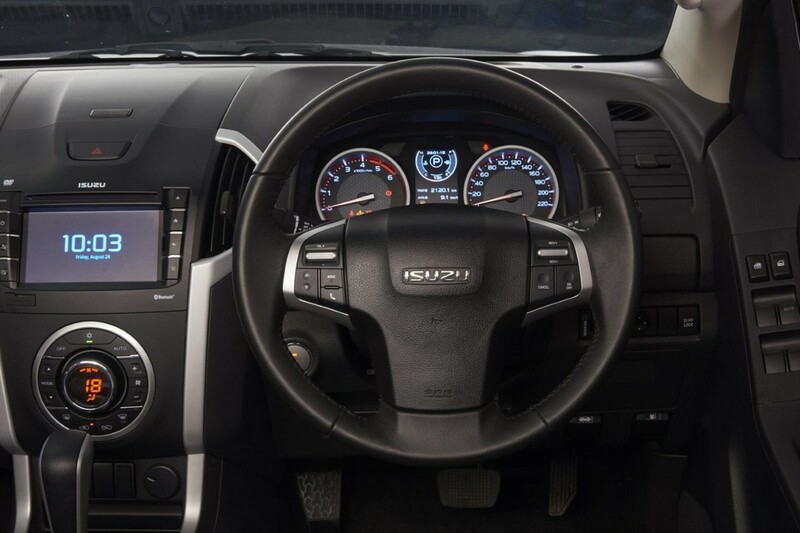 The rotary dial in the Isuzu KB allows for easy selection of driving modes for various conditions. 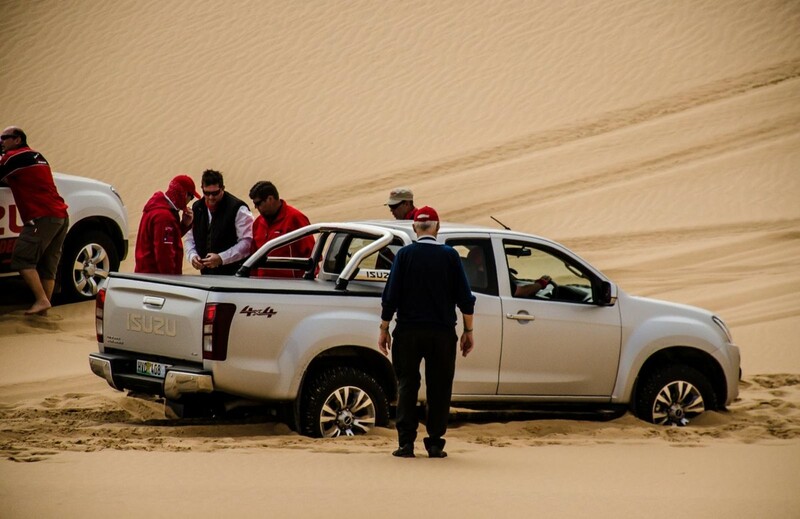 If you are driving in the desert, you are bound to get stuck but with knowledge and applying the correct techniques, you can recover in most cases, even if the situation looks dire. 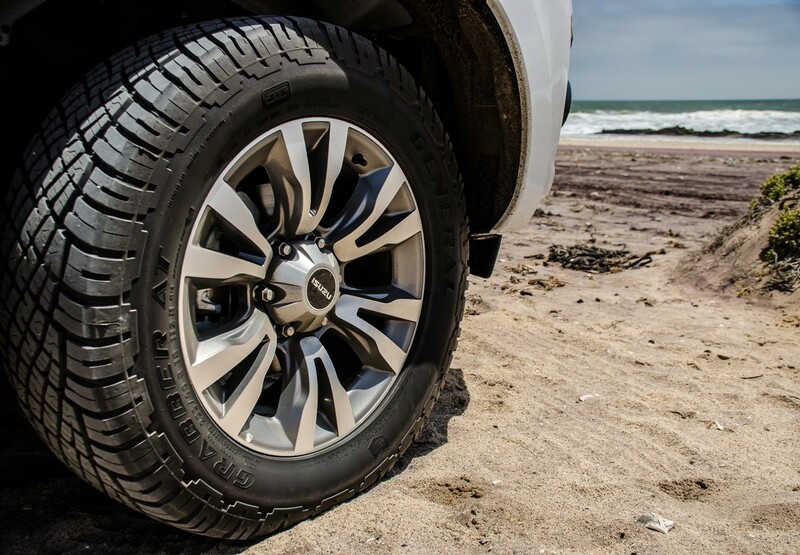 We were mightily impressed with the KB’s ability to navigate the tricky (and often) soft sand without much hassle at all. 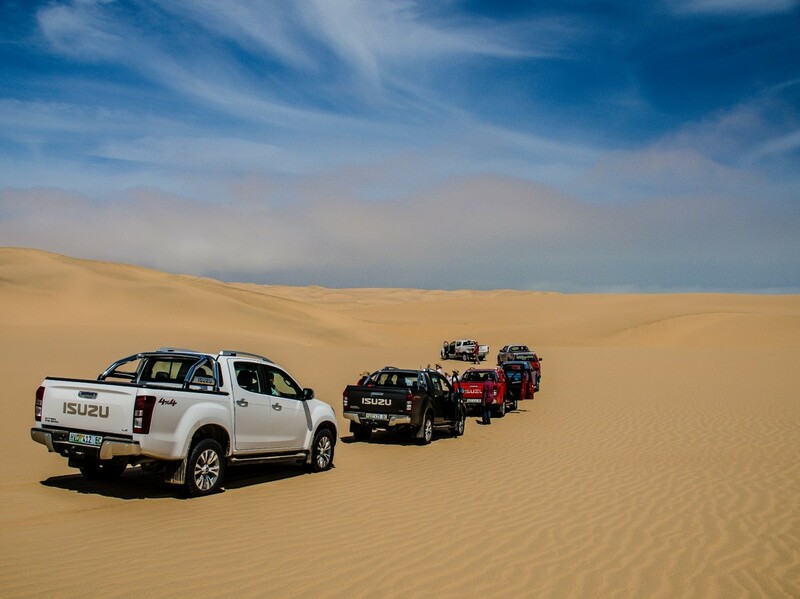 The next day took us along the coast south of Walvis Bay in the KB 4x4 LX double cab where we were met with even larger, daunting dunes. 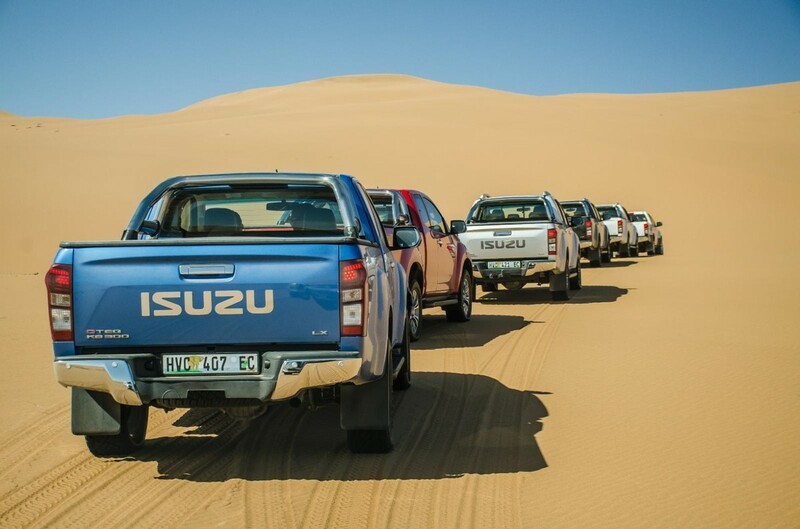 The KB convoy progressed slowly as all the vehicles had to navigate the challenging dunes before moving on. 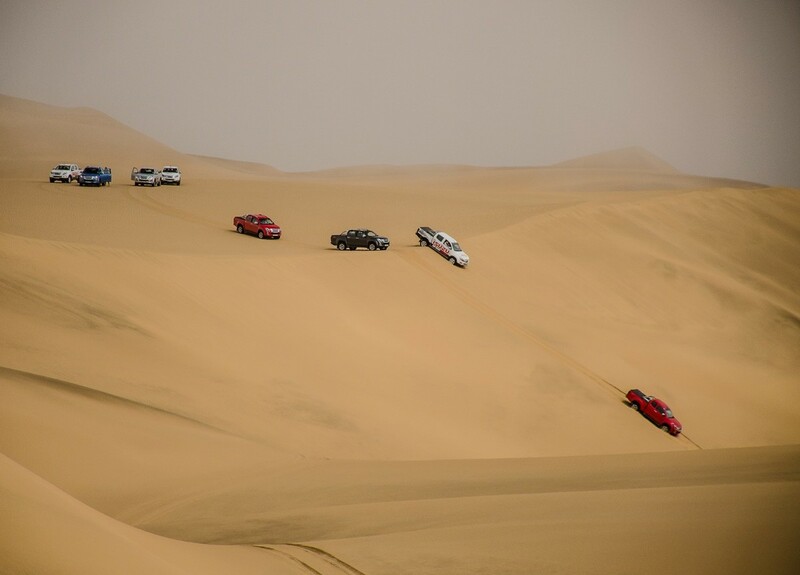 Driving skills were put to the test and many vehicles got stuck as a result of drivers making ill-judged gear changes in the manual derivatives. 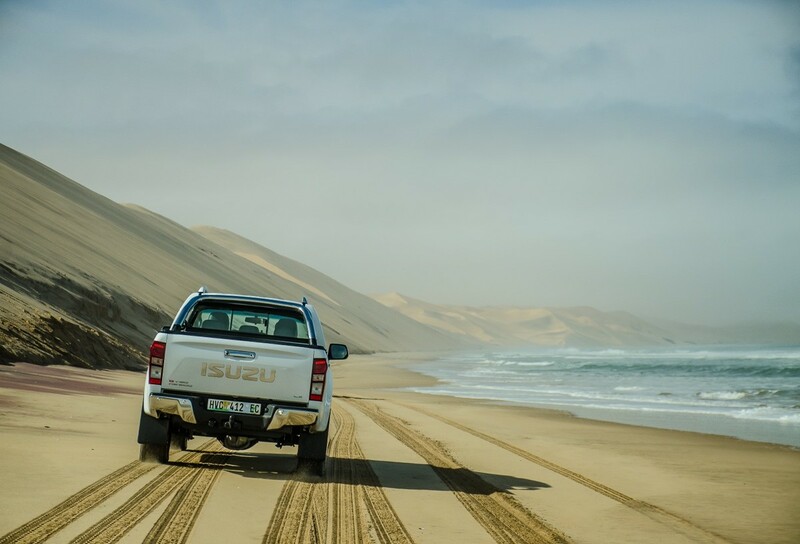 That said, the automatic transmission was much easier to drive on the sand, whereas the manual transmission required perfect timing to prevent losing momentum. 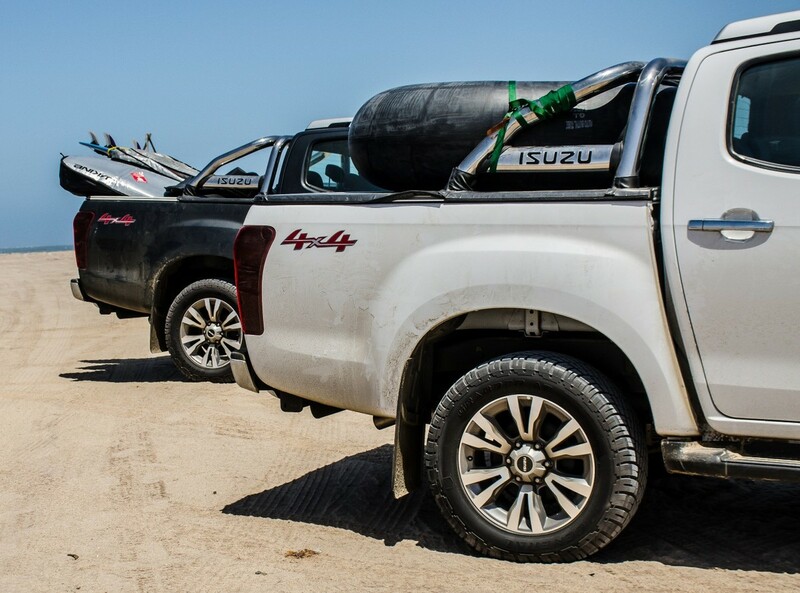 The Isuzu KB was able to carry a variety of items, including surfboards, luggage and filming equipment. 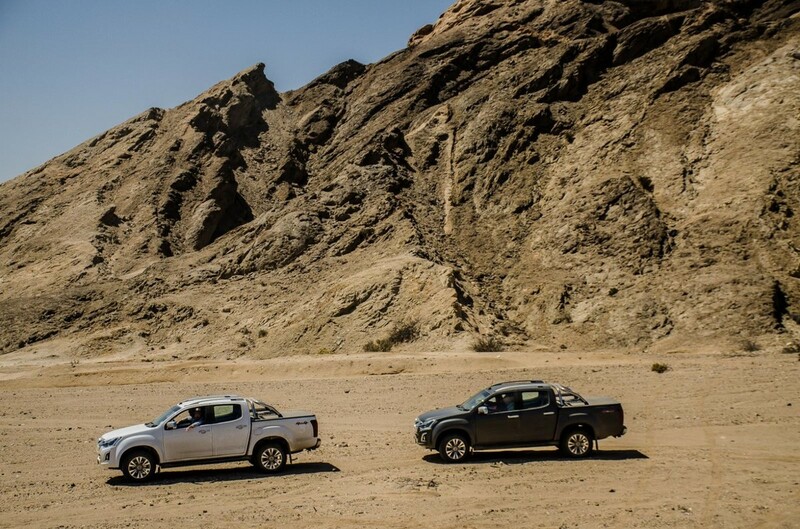 We also spent additional time in Namibia exploring the coast in search of waves suitable for surfing. 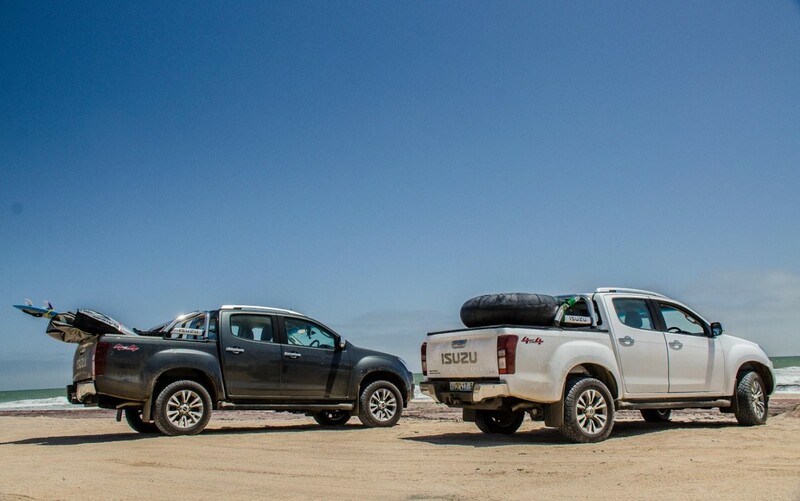 We had two KB 4x4 LX double cabs that were used to transport surf gear and filming equipment. 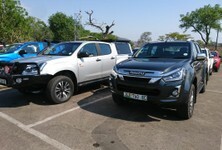 The crew was hugely impressed by the capability and comfort offered by the Isuzu KB. 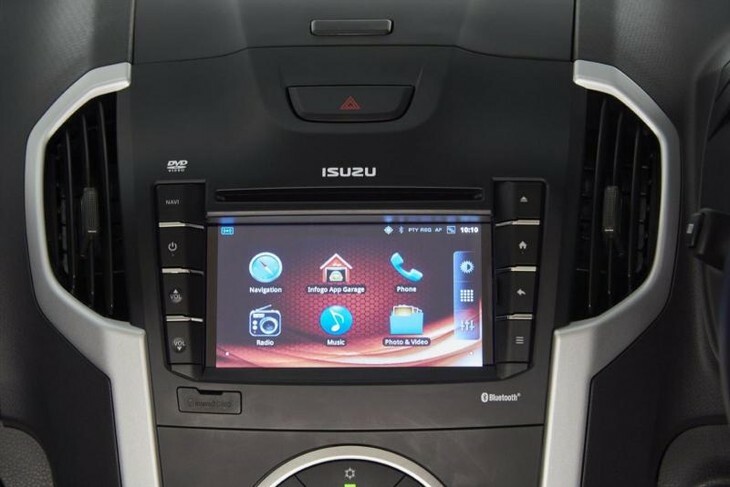 The infotainment system is comprehensive and offers navigation, internet, smartphone integration and other multimedia features via a 6.5-inch touchscreen. The crew particularly enjoyed watching their surfing footage after the surf using the SD card slot. 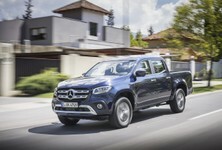 Navigation is standard on the KB 4x4 LX double cab and the infotainment system is comprehensive. 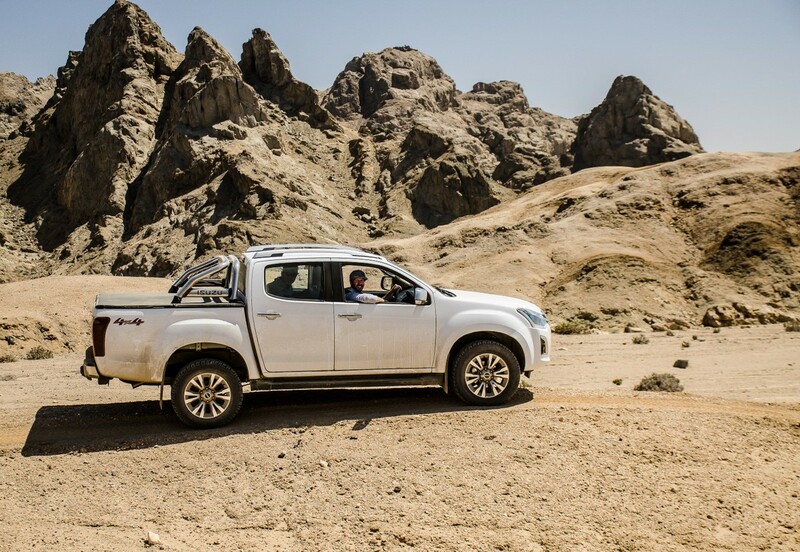 With the additional live surround speakers installed in the KB, the audio system' sound quality was good and the crew enjoyed pumping their favourite music tracks as we traversed the desert in search of waves. 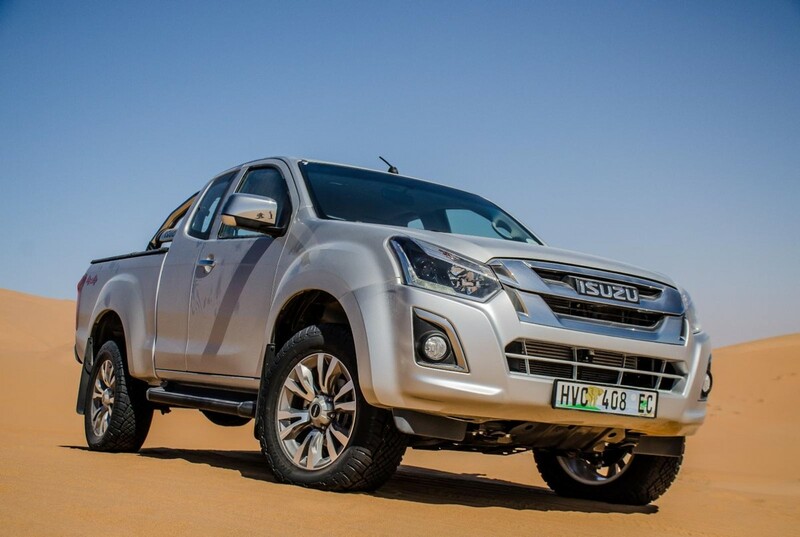 With its improved suspension setup, the Isuzu KB delivered a good ride quality; the crew found the KB easy and comfortable to drive on tar. 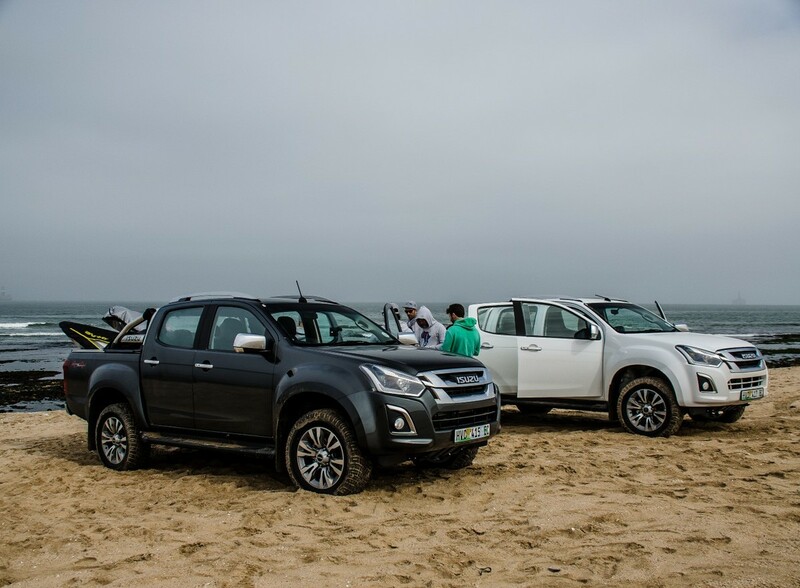 The Isuzu KB proved to be quite spacious and managed to transport 7 crew members with luggage, film equipment and surfboards with relative ease. 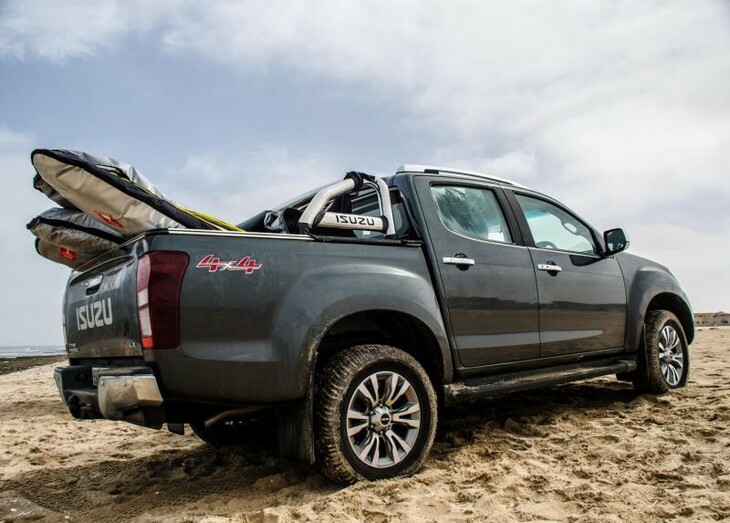 The load bay in the KB is large enough to carry bulky and long objects, such as surfboards. The sticky doors – for the duration of the trip, there was almost always a door that wasn’t closed properly, which proved to be an annoyance, particularly for the driver. You have to use some force to close the doors properly. 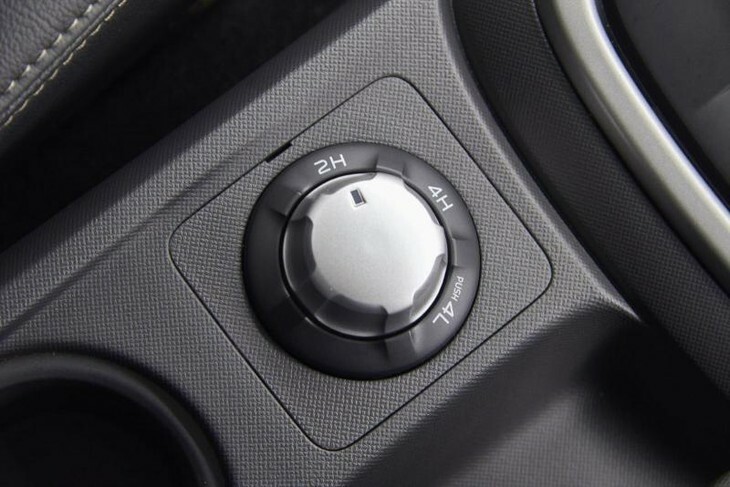 The USB/Aux inputs – the USB and auxiliary covers are difficult to open without long nails or a sharper object and this caused frustration among the crew. 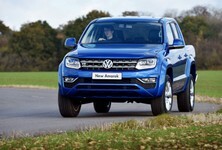 A cover with a raised edge would have provided easier access to the USB and auxiliary ports. 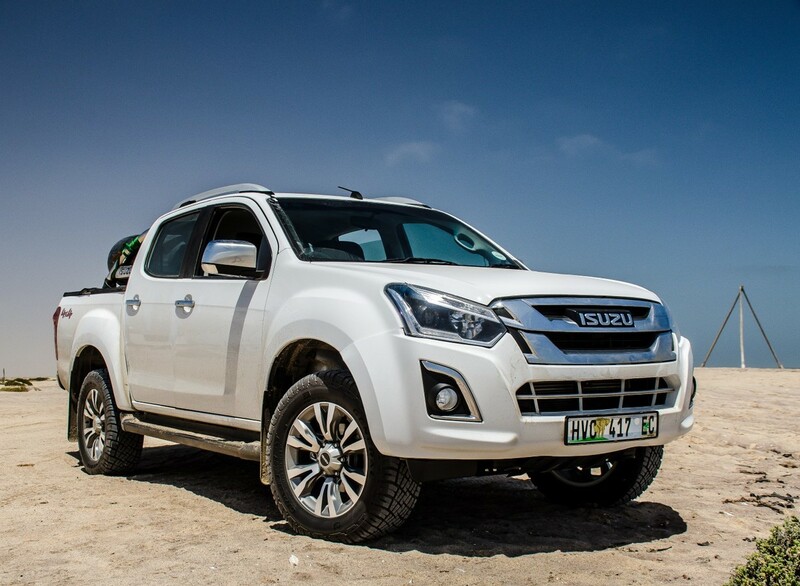 The KB 4x4 LX double cab comes well-specced and is competitively priced against its rivals. 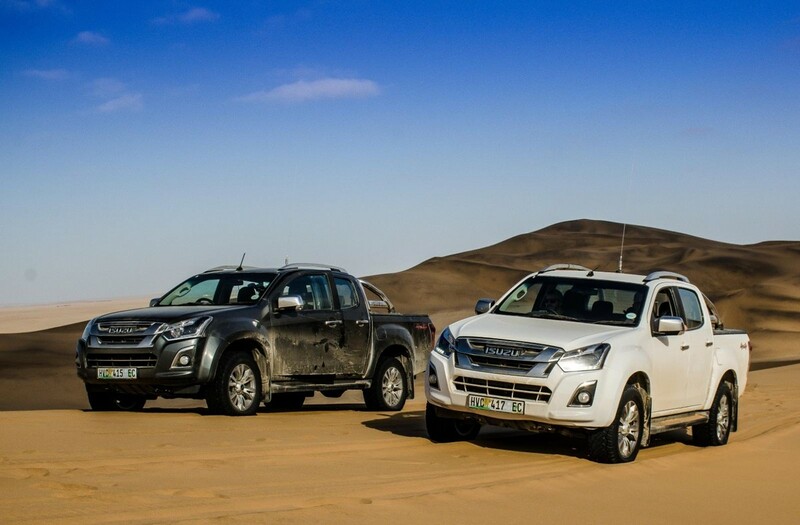 The Isuzu KB proved its capability in harsh and often compromising situations and more importantly, it delivered a smoother ride on tar thanks to its revised suspension. The stylistic changes have also emboldened the overall design of the KB and we feel the KB actually looks quite aggressive and confident. 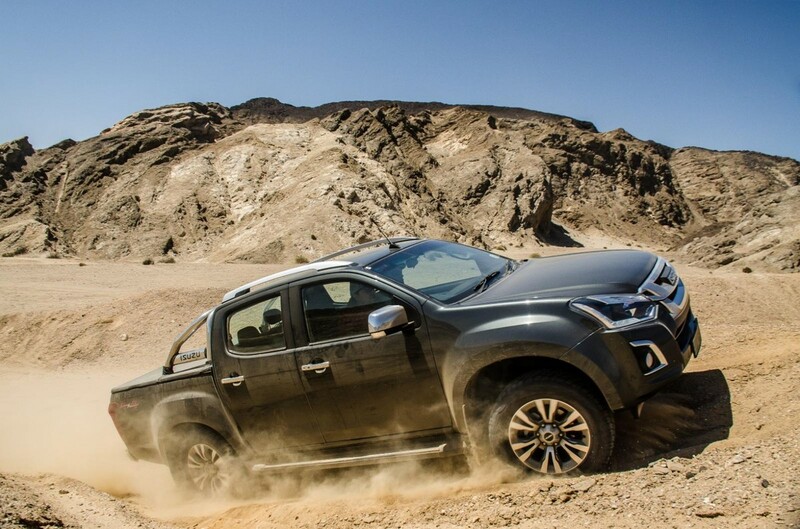 In terms of features, the KB is well-equipped and we like the fact that navigation is offered as standard on the KB 4x4 LX double cab derivatives, something its rivals don't offer. 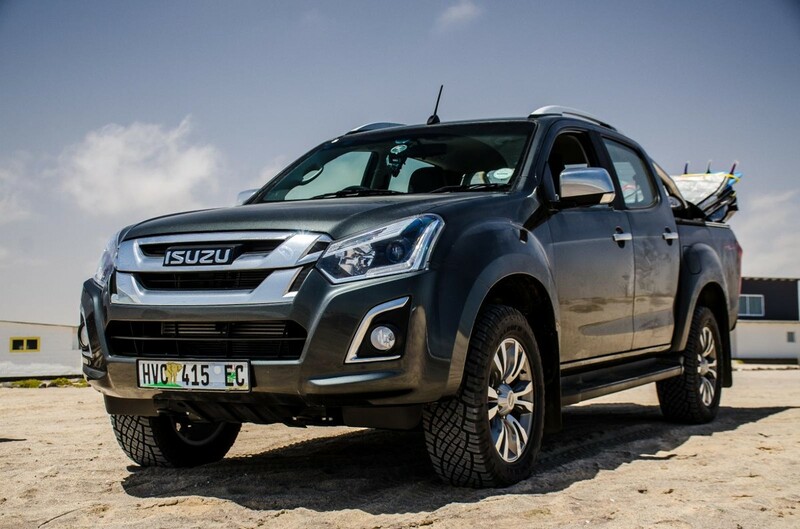 The Isuzu KB300 4x4 LX double cab automatic is priced from R563 500 and is sold with a new standard 5-year/120 000 km, 5-year/ 90 000 km service plan, 5-year/120 000 km roadside assistance and 5-year/unlimited mileage anti-corrosion warranty. 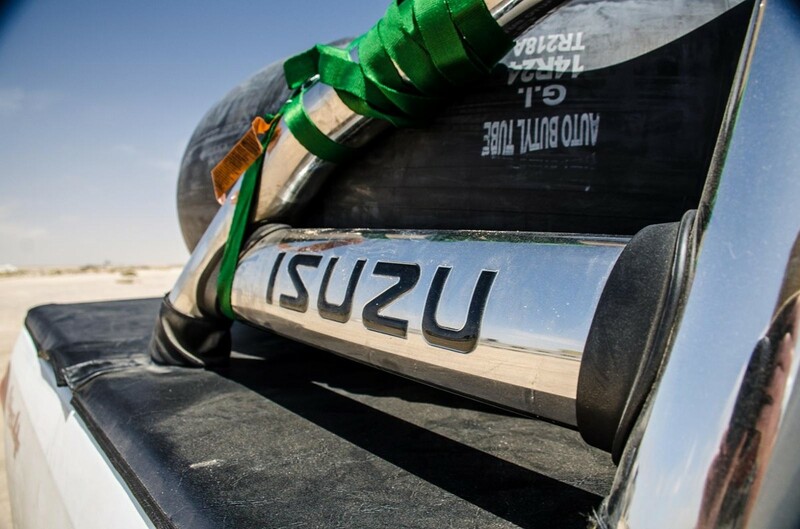 Service intervals are set at 15 000 km. 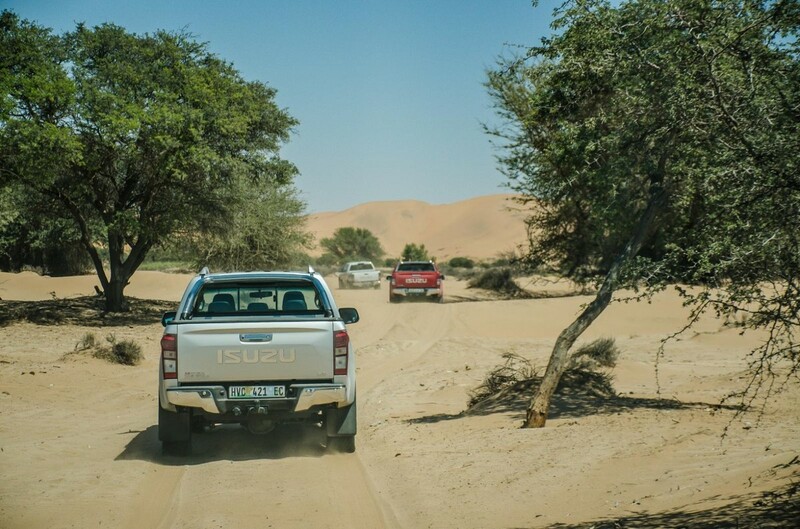 Look out for our Isuzu KB in Namibia video coming your way soon! 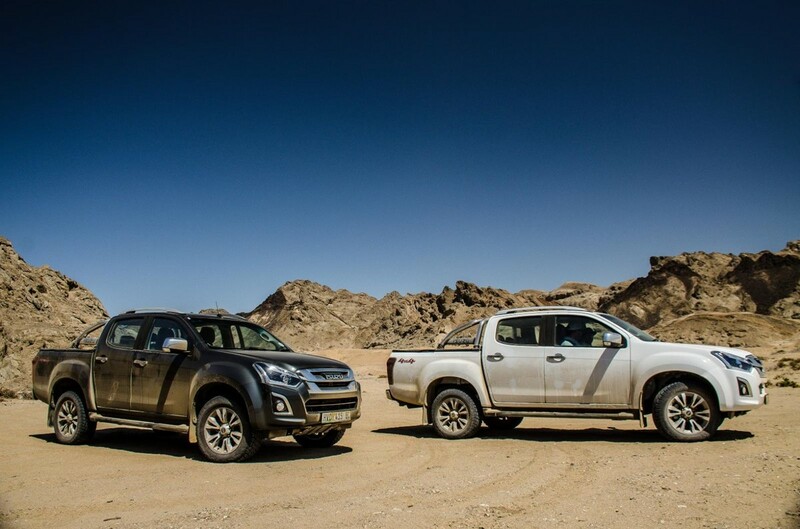 Compare the Isuzu KB 3.0 4x4 LX double cab automatic with the Toyota Hilux 2.8GD-6 4x4 double cab Raider automatic and the Ford Ranger 3.2 4x4 XLT automatic. 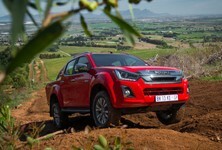 Want to buy an Isuzu KB?